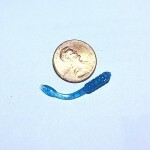 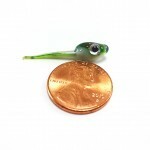 Custom Eye Candy Fry are a 2" long custom molded soft plastic bait. 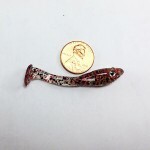 They are 100% made in the USA and hand painted here in Michigan. 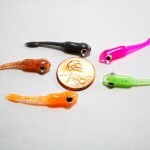 The plastic has the perfect softness to provide great action and superior durabilty. 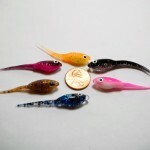 These panfish killing machines have unique hand painted details, 3-D eyes and custom super glow formulated paints. 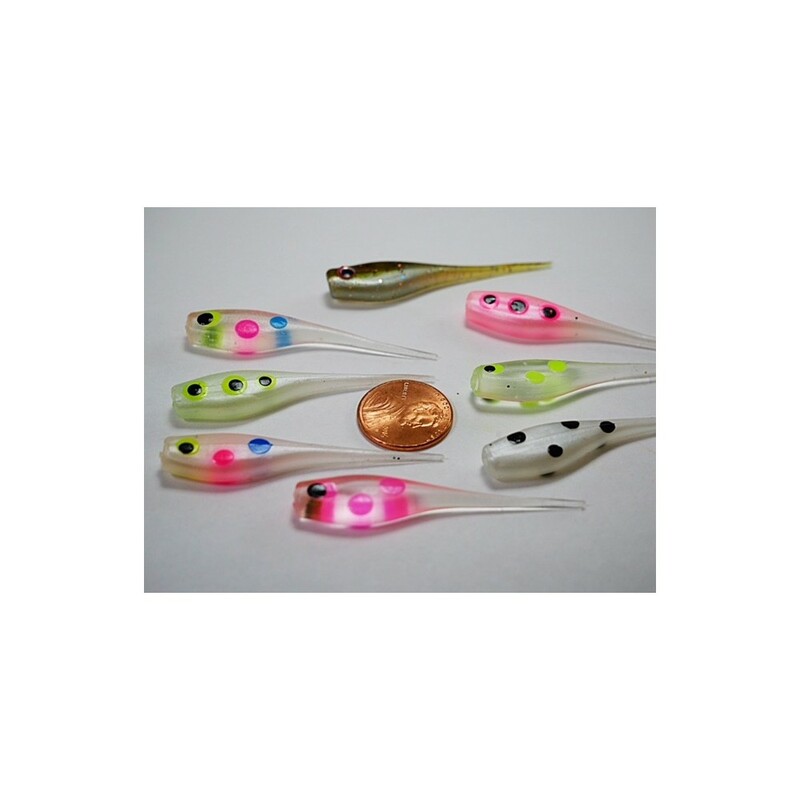 Use them for Crappie, Perch and even walleye. 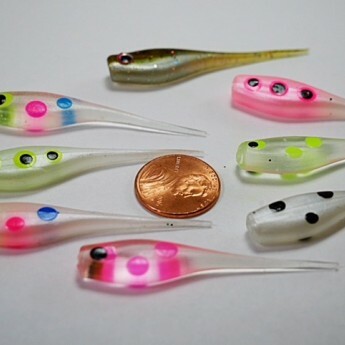 There are colors for clear water, dirty water and low light or night time fishing too. 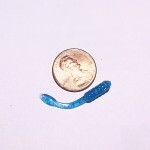 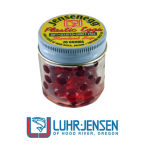 These plastics are equally suited for ice fishing or open water. 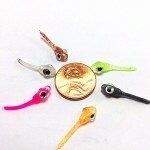 Fish them on a jig or drop shot rig and get catching!